Lego® Serious Play® – an exceptional method with extraordinary results. Some business challenges cannot be solved with a simple direct response: What is the best next step? How shall we collaborate? Do we really know the logic of our actions? Which principles guide our decision making process? With the LEGO® SERIOUS PLAY® methodology teams develop answers, possible scenarios and simulate future decisions. 3D-models provide detailed answers to central questions. And the best thing: This “models & metaphors meeting” activates all participants even-handedly. "Der Trainer ist sehr zu empfehlen. How you master your weekday and projects. We question our daily working progress, techniques and methods too seldom. But to know how to execute our business and the desired result efficiently is important – in the project, alone at our desk or during establishing a company. During the Pro Self Management you learn pragmatical techniques from the project- and the self management and to implement it successfully into your own work. I work for profit- and non-profit organizations. 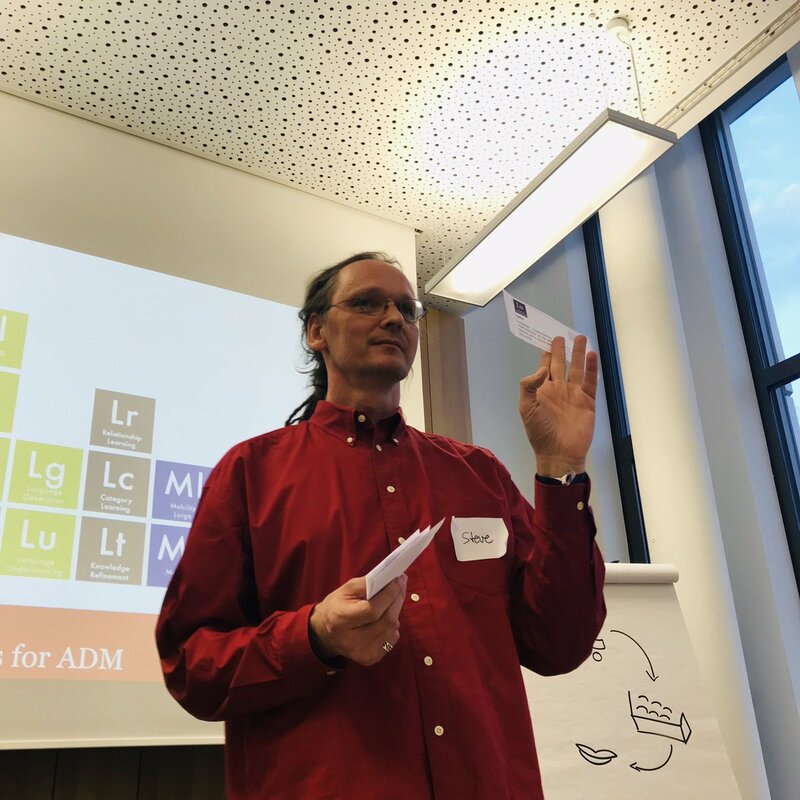 I offer strategy development with the LEGO® SERIOUS PLAY® method and trainings on facilitation skills and sales with the iPad® in my native languages German and English. At the Steinbeis College Berlin (SHB) and the University St.Gallen (HSG), Switzerland I helped to establish the career centers. Furthermore, I am a certified Trainer (DVNLP), trained facilitator of LEGO® SERIOUS PLAY® method and materials, trainer for Training from the BACK of the Room!, Kanban Management Professional, Scrum Product Owner®, ScrumMaster®, Learning 3.0 facilitator, Management 3.0 Practitioner & Co-Owner, Lean Change Agent, Co-Mediator and alternative practitioner for psychotherapy (HeilprG). EN_Bilder statt Worte. Bewegung statt Sitzen. Sprechen statt Zuhören. Nur drei von sechs Trümpfen, welche Sharon Bowman in der Methode “Training from the BACK of the Room! (TBR)” verarbeitet hat. 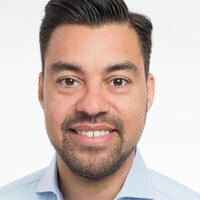 Neurowissenschaft pur für interaktive und kurzweilige Trainings und gehirngerechtes Lernen. Simulated interactions with experts: individual and focussed on the new behaviour to be learned. The specially trained actors serve as a „living mirror“, exchange roles with the participant and make it possible to look into the conversational partners head – anything but a classical role-pay. To bring your own career model to paper – sounds impossible? With Business Model You® feasible. The model helps to identify clearly and understandable the individual contribution, to model it and afterwards to optimize it. The visual approach provides a surplus for teams and individuals. Clients and partners who appreciate my work. An idea – a crowdfunding projekt – a pair of chinos. My Co-founder and I developed and produced our first Slik17 in 2011. Up to now more than 300 customers from four different countries own our business proved pants made out of high-quality functional material. Our successful startup was broadcasted in print, radio and TV. Today in a Corporate Context it is impossible being without tablets. The professional use in daily work is not simple. In my trainings I teach the participants the usage of the iPad, the implementation during a customer conversation as well as the conclusion oriented presentation of product information. You like to know what German Academical Institutions twitter? My Twitter-list of the German college scenery – the largest nationwide – makes it possible. From general informations to messages from Marketing- and PR-departments as well as career centers up to Tweets from professors, scientists and collegiate initiatives – everything at one spot, always up-to-date. The happier the time, the quicker it passes. Tonight’s #LSPmeetup on #AI on the way: building Alexa and Tesla decision making. Very interesting.